Move toward your goals, one step at a time. Reconnect to yourself and to nature. Take therapy outdoors to move toward your goals! Tired of being stuck inside in an office or classroom sitting all day? Let’s get some fresh air and walk together. In addition to traditional talk therapy in my office, I offer walk and talk therapy sessions to those who want to get out in nature at nearby Balboa Park. Research demonstrates that exercise is good for the body and mind and may even improve psychotherapy sessions too. 1. It encourages a client to be more physically active for mental and physical health reasons. 2. It helps a client get “unstuck” when confronting difficult issues. 3. It spurs creative, deeper ways of thinking, often released by mood-improving physical activity. Walking also propels people forward. Clients find that talking and processing issues while walking helps them to see new possibilities and to access their strength–both physically through the movement, and also emotionally and spiritually. In addition to the healing power of movement, nature, fresh air and sunlight have also been proven to improve mood. Clients have expressed that walking during therapy can help shift heavy emotions and provide a sense of aliveness. People often connect nature or being outside with relaxation and fun. When walking during therapy, clients’ bodies relax and their mind is distracted, leaving them open to insights and shifting old patterns. Better emotional health starts one step at a time. Q: Is walk and talk therapy any different than traditional therapy? The only difference is that we conduct the session outside while walking together. We can still discuss any of the issues that we would process in my office together. Research shows that when a client and therapist walk in sync, side by side, they often feel more connected and in tune with each other. Q: How long is a walk and talk session? We will typically walk 20-40 minutes in the park together and wrap up the conversation back in my office for the duration of your 1-hour session. Clients choose the pace of the walk and how far or long we walk together within the period of your session. Q: Is there any additional costs for walk and talk therapy with you? No. Walk and talk therapy sessions are the same fee as your regular 1-hour office sessions. Q: Are you a personal trainer and will this be a physical workout? I am a licensed marriage and family therapist, so our walks together will focus on therapeutic material, while walking at a moderate to slow pace. The goal is to facilitate space for your body and mind to process the material you bring to session that day. It is not focused on physical fitness, and I will not be advising you on your fitness program. Q: I have physical limitations and am not in good physical shape. Will this work for me? Walk and talk therapy is not a fitness routine. People with all abilities can benefit from talking while walking. I adjust the length and pace of sessions to fit the individual needs of my clients. Often times, clients just want to take a short stroll around the block to release some difficult emotions or to get fresh air while practicing mindful walking to clear their mind. Q: What is mindful walking? Mindful walking simply means to walk while being fully immersed in the present moment without a goal or intention. During mindful walking, your breath, body and surroundings are used to ground you in the moment fully. 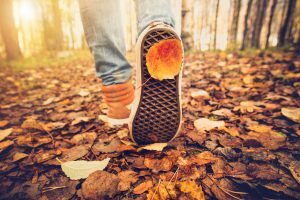 Mindful walking is an active meditation practice that allows you to become consciously aware of your breathe and each physical step as you move through the environment. It can be used in conjunction with a seated meditation practice or to simply become aware of the present moment when moving throughout your day. Mindful walking can create awareness of the pleasure of movement in our bodies, release emotions and worries and bring peace into our body and mind. Q: What if I see someone I know or if I do not want to show my emotions in public? Our walks take place along the paths in beautiful balboa park. Typically, during walks we will only cross paths with a few individuals. Due to the intense, southern California sun, many clients choose to wear sunglasses and/or hats which can assist in covering emotions that you wish to not have others see. If we see someone you know, you can handle it in any manner you wish. I will not engage in conversing with others without your consent, so I will follow your lead in how little or much we interact with other individuals. Q: I’d like to try walk and talk therapy. How do I sign up? Walk and talk therapy is scheduled the same as individual sessions. Clients either let me know ahead of time that they would like to walk during their session with me, or we may decide together to move therapy outside spontaneously during our session. There may be times, whether due to weather or scheduling issues, that I will not be able to accommodate a walking session, and we will need to meet in the office. I reserve walk and talk therapy for individual sessions only. Couple and family sessions are best held in my office. Remember to bring your comfortable walking shoes to walk and talk sessions!